5th Sundays - we worship as a parish family. See noticeboards for details of venue. Once a month there is an act of worship for the whole family where all ages worship together. This would often be a service of Holy Communion too. 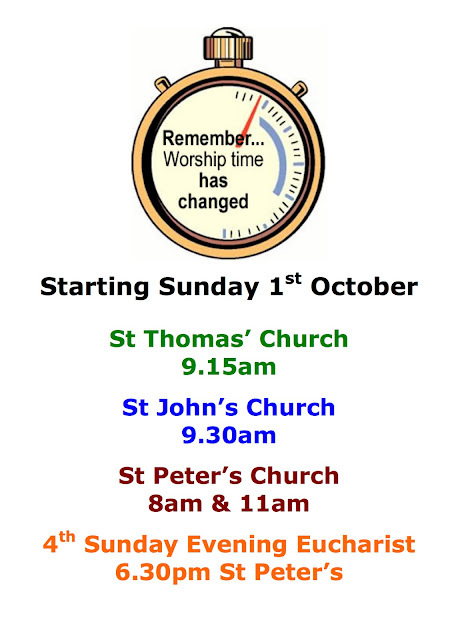 Please take note of these new times and we look forward to welcoming you soon!